FASTER IS BETTER. 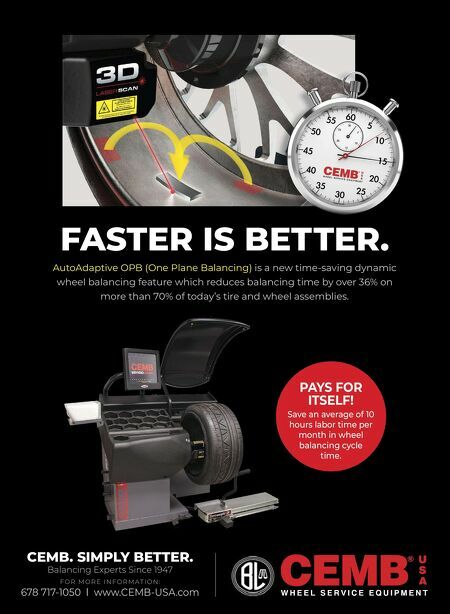 AutoAdaptive OPB (One Plane Balancing) is a new time-saving dynamic wheel balancing feature which reduces balancing time by over 36% on more than 70% of today's tire and wheel assemblies. CEMB. SIMPLY BETTER. Balancing Experts Since 1947 F O R M O R E I N F O R M AT I O N : 678 717-1050 l www.CEMB-USA.com PAYS FOR ITSELF! 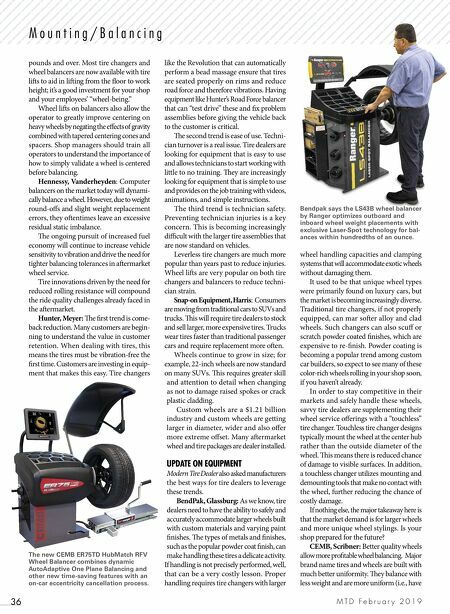 Save an average of 10 hours labor time per month in wheel balancing cycle time.